Bob Rankin: Time To Upgrade Your Browser? I’m happy to talk about freeware. There are thousands of free programs available online. But there are only a handful that I consider essential, and I download them to every new computer. From security to web browsing, to graphics, productivity, and troubleshooting, here are seven of the most popular and useful free downloads. Bob Rankin: Can Roku Replace Cable TV? Bob Rankin: Should You Upgrade Your CPU? “Should I upgrade my CPU? I work with photos and videos a lot, and often wish my computer was faster. Will a CPU upgrade really help me, or are there other more important factors I should consider? Bob Rankin: Is Magic Jack phone service for real? Bob Rankin: Have You Made These Five Computing Mistakes? 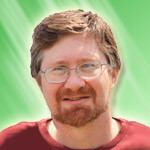 Bob Rankin: Time to Buy a Webcam? We’re buried in paper, despite all the things we have digitized. Letters, bills, receipts, and other paper documents keep piling up. Some must be kept for years as tax records. What can we do with this growing mountain of paper, besides buy another filing cabinet? Bob Rankin: How I Got Hacked… & Why You MUST Have a Backup!